than Jesus the Son of God. and true love grows warm within. of the Father and the [Holy] Spirit. Amen. Note: The above music is from the Parish Book of Chant (CMAA, 2012, p 187) and used with permission from The Church Music Association of America. The Latin text is from the Liber Hymnarius (Abbaye Saint-Pierre de Solesmes, 1998, page 409) and used with permission from The Abbaye Saint-Pierre, Solesmes, France. 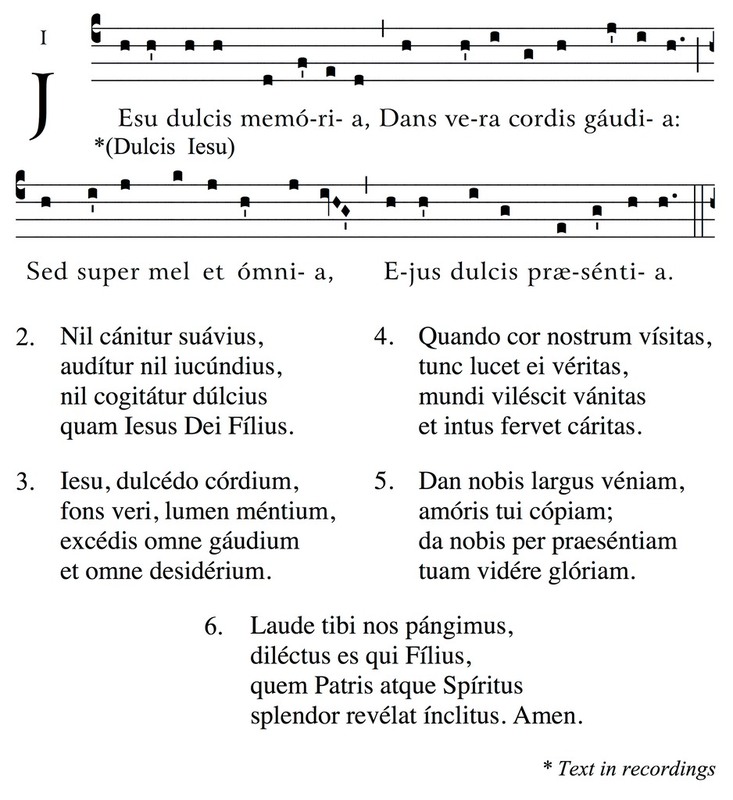 To obtain the music with updated notation, please purchase the Liber Hymnarius ( solesmes.com ).